On a Friday morning, Adam DiSalvo and Sam Rubens plunged their hands into the soft dough that would become challah for Shabbat dinner. 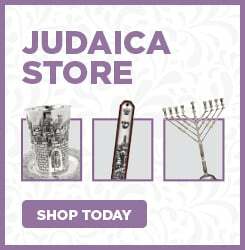 Each teenager took turns measuring the flour, mixing in the water, and kneading and braiding the dough while Rochel Simon shared the significance of the bread and its connection to the biblical miracle of manna in the desert.  The boys’ enthusiasm carried through the weeklong Friendship Circle summer camp at Chabad of Greater Dayton, an opportunity for children and youths with special needs to learn more about Judaism and have fun. "I was motivated and excited based off their excitement," said Rabbi Levi Simon, who along with his wife, Rochel, runs Chabad’s youth programming. "When they pumped their fists or got excited about making challah...it gave me more of an appreciation for the activity." Friendship Circle summer camp is part of Chabad’s larger program that pairs teenage volunteers with children or youths who have special needs. The aim is to enhance friendships in the lives of both. The friends participate in Jewish, social and educational activities, supported by parents and coordinated by Rochel. Last year, without much publicity, the program served five participants ages 4 to 15. As it enters its second year, Chabad is looking for at least 20 volunteers to more than double the number of those the Friendship Circle serves. "It’s just about being friends — having someone there for them," said Chabad Director Rabbi Nochum Mangel. "We are not therapists. We are not psychologists. We are just friends. But friendship has been proven to be one of the best therapies." Mangel said that 11 percent of the general population can be characterized as having special needs. Friendship Circle started in Detroit in 1994 and spread nationally to more than 70 cities. Dayton joined the project at the suggestion of Marci Vandersluis, a social worker at Covenant House. Each community caters the program to its needs, Mangel said. In Dayton, the program includes children and youths with developmental and emotional needs as well as those with social and behavioral issues, including a boy whose father was called for military service and who needed an older buddy to stand in as a father figure. For Rubens, 16, who has autism, the Friendship Circle meant an opportunity to play golf, eat out, and discuss music with two friends each Tuesday afternoon. "It’s been wonderful for Sam," said his mother, Stacey Soifer. "They are two really cool guys who are just his friends. The two boys who befriended Sam, David Frydman and Shai Neiger, spent every Tuesday for about a year with Sam. Not only did they work with him on various skill areas and social skills, but all three had a wonderful tine doing it. It was one of the most rewarding experiences that Sam has ever had." While children and youths with special needs are often outgoing and friendly, it can be hard for them to develop close relationships with peers, said Debbie DiSalvo, Adam’s mother. "This connects him to two kids who function normally in their peer group and teaches him how to do it too," she said. Each Tuesday since March, Jacob Weprin, 15, and Timothy Miller, 15, have played golf, watched movies or went to the batting cages with Adam DiSalvo, 15, who has a cognitive disability and hearing loss. The physical activity helped with his visual-spatial integration, Debbie DiSalvo said, as well as with developing peer social skills. It taught Weprin and Miller how to gently redirect frustration Adam felt while learning to swing a golf club into positive reinforcement. Miller said the friendship gave him a better understanding of cognitive disabilities. Weprin said it taught him the value of volunteerism. Such volunteerism also helps the wider community, Mangel said. "We’re creating leaders," he said. "What is important is the sensitivity and the passion we are inculcating." While Mangel recruited both Weprin and Miller, he hopes to attract even more volunteers from the larger community. He hopes Friendship Circle will eventually offer programming at synagogues to reach as many children as possible. Back at the summer camp, the boys enjoy bowling as well as a lesson on the tefillin, the small boxes with leather straps used during weekday morning prayers. While the challah was meant for Shabbat, they had to sample it as soon as it was baked and then shared it with family, including Adam DiSalvo’s Italian grandparents. To have such support and opportunities within the Jewish community reflects well on the ideals of community and the Jewish values of the volunteers, Debbie DiSalvo said. "Judaism is a community where I know (Adam) has acceptance and one that’s really important to me," she said.